Dynasties 12-17, ca. 1991-1668 B.C. 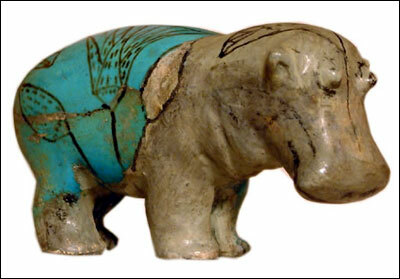 For unknown reasons, small figures of hippopotamuses, their legs often broken to render them immobile, were deposited in coffins of the Middle Kingdom. Most are decorated with aquatic motifs that are thought to refer to rebirth in the afterlife.